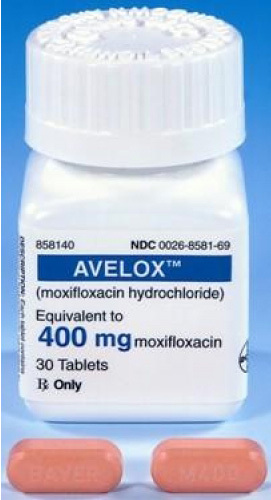 Avelox is the generic name for the drug Moxifloxacin and is an oral prescription antibiotic which is recommended for treatment of various bacterial infections. It is not effective for viral infections. Avelox belongs to a class of drugs called fluoroquinolones, which is also referred to as quinolones. They operate along with two significant bacterial enzymes (topoisomerase IV and DNA gyrase). The enzymes are needed to copy and repair DNA which is the procedure needed in order for the bacteria to multiply. 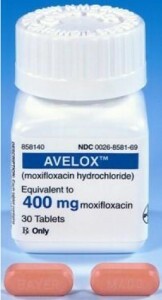 Avelox (Moxifloxacin) is commonly used to treat sinus infections, pneumonia, bronchitis, and skin infections. Some healthcare professionals may prescribe Avelox for off - label uses such as for the prevention of bacterial infections. Avelox should not be used on patients with the autoimmune disease, Myasthenia as it may make the condition worse. It should also not be used in patients who are children and those who are over 60 years old because of the possibility of tendon damage (tendinitis). Zithromax is the brand name for the generic drug Azithromycin and is an antibiotic available by prescription only. Zithromax belongs to the macolide antibiotic group of drugs.